What’s in the Brunei Military Chief’s Maritime Voyage? A recent development highlighted the country’s ongoing efforts to develop its maritime capabilities. Last week, Brunei’s military commander paid a visit on board a vessel for one-day tour which provided an opportunity to review the country’s maritime capabilities. While the development was just one among many with respect to maritime-related events in the country, it nonetheless spotlighted ongoing efforts in this realm. As I have noted before in these pages, despite the fact that Brunei’s defense sector has come under growing strain due to broader economic challenges, the oil-rich sultanate has continued to invest in boosting its maritime capabilities and relationships to the degree possible. That has included several components, including more visits by vessels to other countries, the upgrading of certain exercises and the strengthening of the infrastructure for maritime security, with a case in point being the establishment of the National Maritime Coordination Center in 2010. This trend has continued on into 2019 as well. 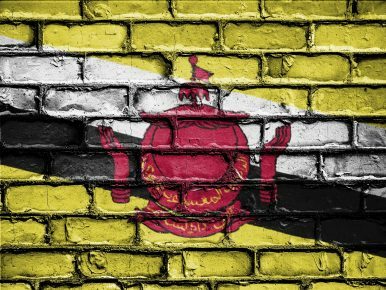 We had gotten some sense of where the country is headed with respect to this last month, when Brunei’s second defense minister presented the country’s proposed defense budget during the Legislative Council session, which constituted the second straight year of a defense budget increase after some large previous cuts. Last week, the maritime aspect of Brunei’s capabilities was in the spotlight as the country’s military commander paid a visit on board a vessel for a one-day tour. Major General Pengiran Dato Paduka Seri Aminan bin Pengiran Haji Mahmud, the commander of Royal Brunei Armed Forces (RBAF), was on the fast interceptor craft KDB Mustaed. The tour consisted of various engagements. The RBAF commander, who was accompanied by other senior officials as well including the navy commander and the acting joint force commander, was on board the KDB Mustaed from Muara Naval Base to Kuala Belait. While in Kuala Belait, the RBAF commander and the accompanying officials visited several facilities including the Fisheries Department, the Marine Base, and the Maritime Port Authority Office. Per Brunei’s defense ministry (MINDEF), the objective of the working visit was for the officers to be familiarized with both the maritime capabilities of the KDB Mustaed as well to further understand the role of various actors in maritime coordination in Brunei, including the National Maritime Coordination Center. Unsurprisingly, not much in the way of specifics was disclosed about the tour. Nonetheless, such developments will continue to be significant to assess in order to get a sense for where the country is headed in the maritime realm in the next few years. Anniversary comes amid lingering challenges for the Southeast Asian state’s defense.